We take a look at the customs data as released by the South African Revenue Service (SARS) for the year 2018. Just how much did we import and export during 2018? What did we import and export and with whom did we trade? The car chart belows shows south Africa's total imports, exports and trade balance per month of 2018. 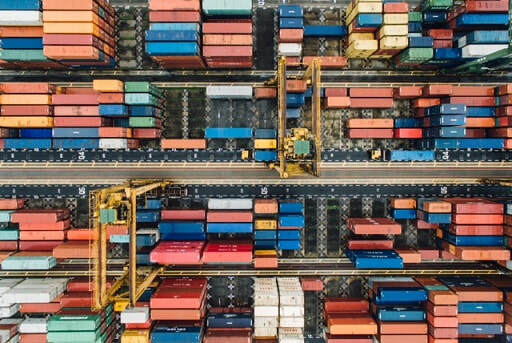 South Africa recorded a positive trade balance in 2018 (I.e value of exports surpassed that of value of imports) to the tune of R11.29 billion for the year. In total South Africa exported goods to the value of R1.246 trillion and imported goods to the value of R1.235 trillion during 2018. So what exactly are we importing and exporting into and out of South Africa? While it is nice to know the value of the goods we import and export, the next logical question is what exactly is it that we are importing and exporting? The following shows the Top 5 export products and Top 5 import products being exported out of and into South Africa. So where exactly are our exports going and imports coming from? Now that we know how much South Africa imported and exported during 2018, and what the main products were that South Africa imported and exported out of South Africa during 2018, the next question is where exactly goods being imported into South Africa comes from and where goods being exported out of South Africa is going. So in December 2018, China was both our biggest export destination and the main origin our imports came from. The bulk of the manufactured goods and machinery and equipment imported comes from China. A large chunk of components for vehicles being manufactured in South Africa is imported from Germany. Basically parts for VW, BMW and Mercs being manufactured in South Africa being imported into SA. And then Saudi Arabia and Nigeria being two of South Africa's biggest crude oil suppliers also making the top 5 import destinations of South Africa. On the export side, Manganese ores being one of South Africa's main exports and China being one of the big markets for this particular export. India also makes the Top 5 exports destinations of South Africa, with the bulk of South Africa's coal exports heading to India.